This picture book has been written especially for our future leaders, six to twelve year old humanoids. 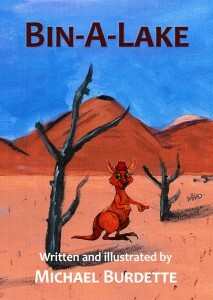 It is set in a remote place in the Australian outback. This place is not only unique, beautifully barren but has a distinctly earthy smell about it. It is a place of intrigue, secrecy and becomes home to the most unusual inhabitants. The story involves the incredible journey of one of our unique wild animals and some rather unusual friends. This beautiful story will guarantee to make you laugh, cringe and cry but most of all it ends in a way that will make all readers happy and impact the way you view wild animals forever. When I looked at the cover I thought WOW. This book looks great the cover is amazing I wanted to read it right away. NEW: the Ballads from Bin-A-Lake have been recorded! Listen to the audio samples here. 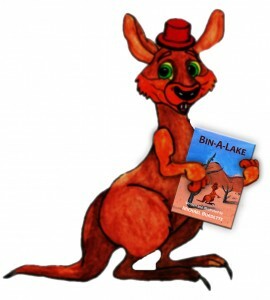 Special Offer for readers in Australia: signed copy with free A5 print and bookmark!